Family with 2 kids wanted to update their tired bathroom. They wanted to achieve a clean look which would suit their family needs. The design was to incorporate a focal point - freestanding bath with wall mounted bath mixer. 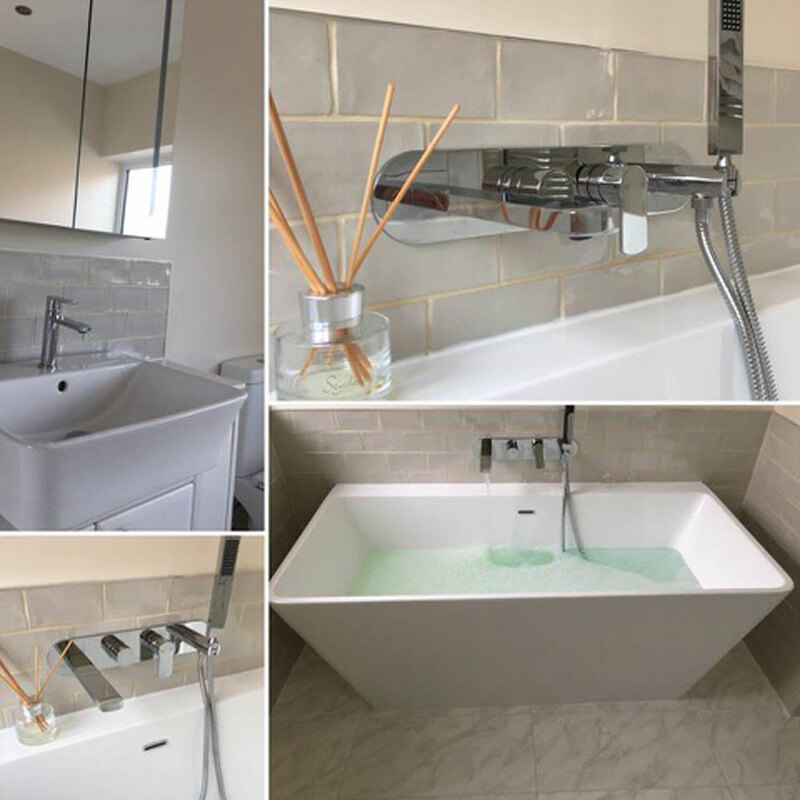 The clean look in this bathroom was achieved through the light colours incorporated in the scheme and quality brass ware that complements the overall scheme.